When it’s chilly outside and the ground is covered in snow, Tahoe City winter activities offer numerous indoor options that’ll entertain you during the day and night. You can relax your body and spirit with yoga sessions or a trip to a spa. Pay a visit to local art galleries to observe beautiful, local craftsmanship and even get in touch with your own inner artist with different arts and crafts workshops. Find yourself wondering about the Tahoe City and West Shores’ history and heritage? Certain Tahoe City things to do, like checking out local museums where you can satisfy your curiosity and garner some knowledge to share with your family and friends. And there’s nothing quite like winding down a fun-filled day of Tahoe City winter activities with a good movie. You laugh or cry at the latest blockbuster in a luxurious and comfy movie theater or even receive excellent recommendations for a film to take back home to enjoy on your couch. 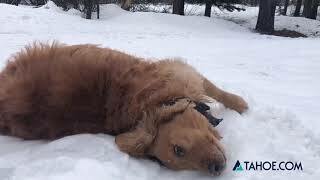 In the winter, Tahoe City things to do are available under all different circumstances – anywhere and anytime! After you’ve warmed up, venture out into the great outdoors for Tahoe City winter activities that unite you with the snow covered wilderness. Tahoe City transforms into a sparkling little Winter Wonderland in the colder months, and the snowy environment provides peak conditions for Tahoe City winter activities. 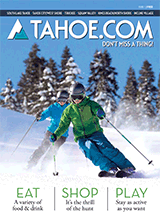 Like other towns in Lake Tahoe, Tahoe City offers a multitude of skiing options. Here, winter sports enthusiasts can enjoy cross-country skiing, alpine skiing, snowmobiling, snowboarding and even the less common pastime of nighttime snowshoe historical tours. Tahoe City ski slopes cater to all levels, but experienced skiers might feel compelled to check out the runs in West Shore where a great treat awaits them. When you’re not swooshing down the snowy mountainsides, another Tahoe City winter activity might include exploring scenic hiking trails that lead you to panoramic views of the Lake and the Truckee River basin – be sure to have your camera ready to preserve the sights. Check out the listing below to see which ones catch your eye.